Franchise funding offers franchise financing and franchise funding services. Our franchise financing services will assist you with a complete small business loan package. 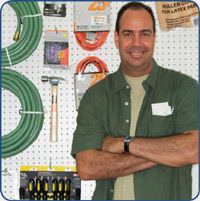 Free Franchise Funding financing services information. Start Realizing your Dream TODAY! It only seems fitting that you should be rewarded for working hard and saving diligently. After all, you planned well and did the right thing - you saved for your future. But tax laws in <?xml:namespace prefix = st1 ns = "urn:schemas-microsoft-com:office:smarttags" />America prevent savers from dipping into their 401(k), IRA, profit-sharing, or annuity plans. In fact, in many states, you can lose up to 50% of your funds in taxes and penalties just for accessing the rainy-day savings you’ve worked so hard to accumulate. BeneTrends, Inc. was founded to help you avoid all of that. We’ve developed and packaged a perfectly legal, perfectly simple approach to help you access your savings. The BeneTrends Rainmaker Plan allows you to release the money in your retirement funds and use it for a fresh start in business without penalty and without taxes. You can use the money to purchase a franchise, buy an existing business, start or grow your own business venture. If this sounds too good to be true we invite you to learn why the Rainmaker Plan may just be the best way to create a new future for yourself and your family. For more than 14 years we’ve helped savers much like you become business owners using their retirement funds, without distributions, penalties, taxes, or the use of loans. The benefits of using the Rainmaker Plan to bring your dreams of business ownership and growth to life are powerful, yet simple and easy to understand. Save Money eliminate penalties and taxes: Tapping into your retirement funds can be expensive. Distributions before retirement age can cost you up to 50% in taxes and penalties. But with our Rainmaker Plan you can use the retirement funds you’ve diligently saved to start or grow your own business without taxes or penalties. 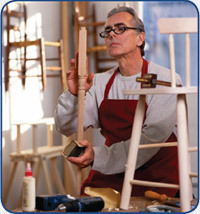 Build for the future – invest in yourself: A business of your own may well be your best retirement plan. With the BeneTrends Rainmaker Plan, you can use your retirement funds as an initial business investment and build on them year after year. After all, an investment in yourself is an investment you can believe in. The BeneTrends Rainmaker Plan is designed to put you in control by making you the trustee of your own retirement. With this plan you are able to shelter more money than ever before for a greater potential return and continued income during retirement. Enjoy higher success from the start – focus on growth not loan payments: The BeneTrends Rainmaker Plan gives you more control by helping you avoid the debt associated with business loans freeing up cash flow. Perhaps that’s why so many new and current business owners prefer this approach to traditional financing. The Rainmaker Plan can also be used in conjunction with traditional and SBA financing to help reduce the amount of your loan, and therefore your loan payments. Plan for security – without using the roof over your head: Lots of small business owners start out by borrowing against their homes. With the BeneTrends Rainmaker Plan, you can open or grow your business without ever touching the home equity you worked so hard to build. Realize your Dream in Four Easy Steps! If you’re thinking this all sounds complicated, then think again. At BeneTrends, Inc. we handle the complications. 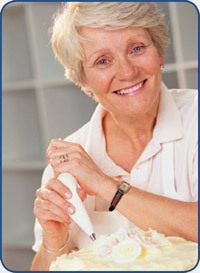 You can use your retirement funds to start your own business with four simple steps all of which we’ll handle for you. There’s no complicated IRS paperwork to file and no long loan applications. BeneTrends, Inc. plan specialists are qualified and specifically trained to handle your transaction. A C-corporation is created for your new company. The C-corporation creates a new retirement plan. The funds from your existing retirement plan are rolled over into the corporation’s new retirement plan. The new retirement plan purchases stock in the newly-created C-corporation. At BeneTrends we’ve helped thousands of future and present-day business owners just like you use their retirement funds to open and grow their businesses. Here’s what they have to say about the program. Len Fischer, founder of BeneTrends, Inc. is an attorney specializing in the Employees Retirement Income Security Act of 1974 (ERISA). He has more than 45 years experience in employee benefits and qualified retirement plans. The entire BeneTrends team of plan professionals will work diligently on your behalf to ensure the structure, integrity and legality of your Rainmaker Plan. To learn more about how the Rainmaker Plan can help you access your retirement funds - without incurring taxes or penalties - to purchase a franchise, simply complete the form below.